Many thanks to Dave Coates for judging our improvers competition. Dave was impressed with the quality of the digital images submitted and had some very helpful suggestions as to how they the authors could improve their pictures. In total four members submitted 13 pictures. 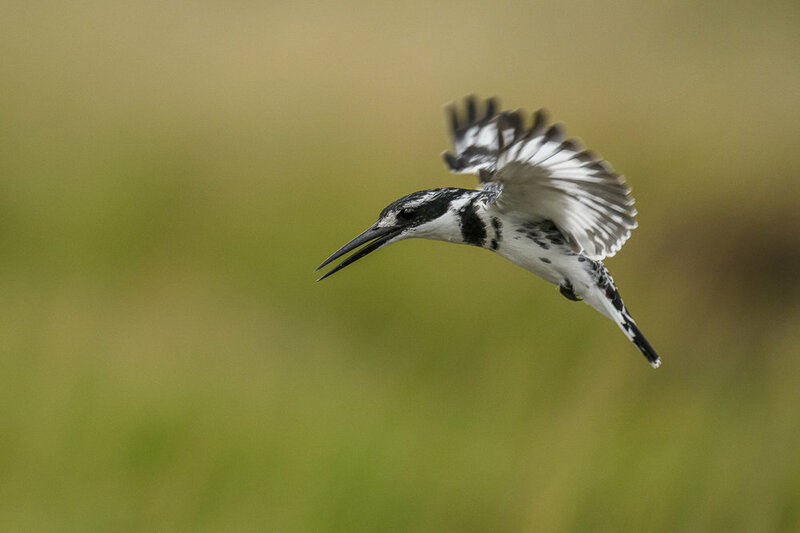 In first place was “Pied Kingfisher” taken by David Harrison, Dave thought this was a vey good image with the kingfisher well placed in the frame, the eyes and body of the bird were pin sharp and the movement in the wings added to the sense of action in the shot. In second place was another image by David Harrison, “Lipstick_The King”. Dave felt that this was a pure nature shot, sharp and enhanced by its mono treatment. Third place was given to Jocelyn Hayes’s “Fun at Bordeaux Fountains” which Dave described as simplicity itself and a very successful shot. Dave also judged the Leatt Cup.